A director’s job is very tough and stressful. While he or she is on the set, the filmmaker must deal with many issues that may distract the attention. Unfortunately, Margherita gets a whole package of troubles that shakes her mind and her focus: the sickness of her dearest mother, a sensitive and very relevant topic that she picks for her film, and the actor who barely can memorize his line. 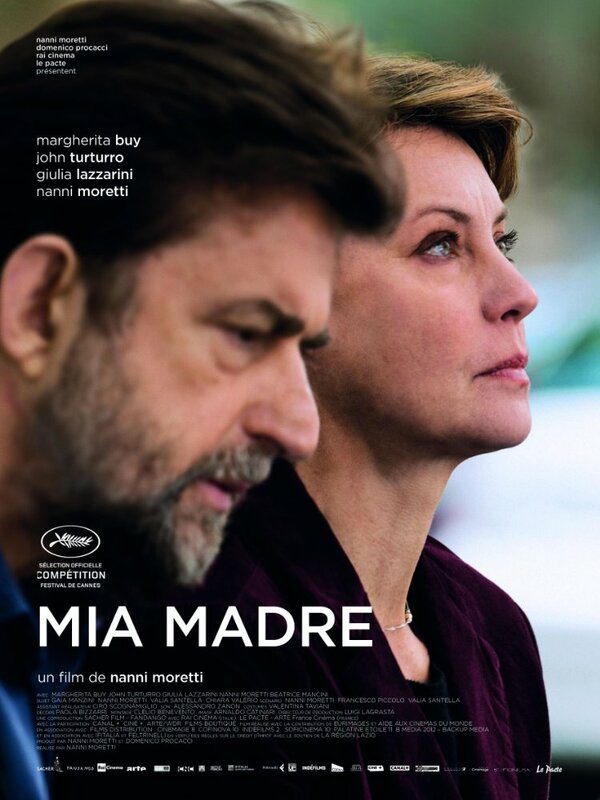 Nanni Moretti’s MIA MADRE follows Margherita, a woman in the middle of an existential crisis, who on top of everything must deal with unavoidable and hard to accept loss of her mother, Ada. This completely takes over her mind that creates unnecessary tension at work, while she finds it difficult to concentrate on the set despite tackling a very important subject of society. Barry Huggins is an eccentric American actor, who we still don’t know if he ever did appear in Kubrick’s film or not. However, all what we know about him is that he is incapable of remembering his lines, but in the meantime, extremely kind and warm-hearted human being. Despite that, both filmmaker and actor continually fight over the scene when Barry fails to deliver his line. And those kinds of scenes are many to amuse the audience. As the story unfolds, we’re getting closer the culmination of the story when Margherita is stuck between the reality and dreams, both of which are quite terrifying for her. The scene when her brother Giovanni (Nanni Moretti) tells her in her dream that her mother is dead makes Margherita to wake up immediately, but knowing that one day that day will come. MIA MADRE is a film that not many can reach to half of it due to the subject. If it happened that you had to go through the same personal loss the way Margherita had to go, you may find it even more difficult to watch it, as Nanni Moretti films it as realistically as possible. It’s also the second film this week I am seeing with Margherita Buy, and I am amazed how talented an actress she is. In the entire film, despite having John Turturo, who brings a bit of fun to the sad story, it’s Giulia Lazzarini and Margherita Buy’s show, you as a viewer will certainly notice. Both women deliver a truly incredible performance that makes MIA MADRE the most realistic, profound film about a woman’s fear who is willing to deal with any problem but not with the loss of her mother.